Connor, Verena, Adam, and Bri all make appearances in several books throughout the series. Their connections are closer in some than others. There is a blog for Connor and Verena but at the moment, it's rather blank. 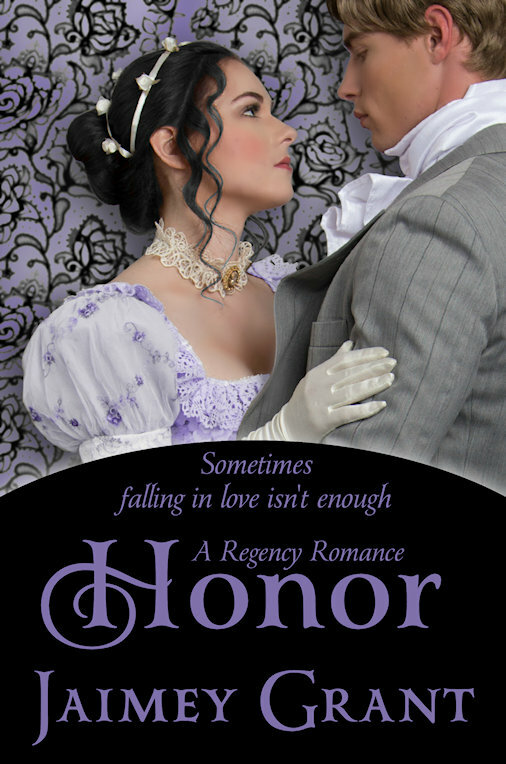 However, click "A Gentleman's Honor" above and become a follower to learn more about the characters and the story behind the story, as it's revealed. Lady Verena Westbridge would rather die than marry. When her father accepts the depraved Percival Winters on her behalf, flight seems her only option and entering into menial service the perfect hiding place. Resigning herself to serving her own kind for the rest of her life, she naively believes she is safe. Lord Connor Northwicke arrives at a house party and rescues a young housemaid from the unwelcome advances of a brute. Feeling the need to be near her, he offers her friendship. But her disguise is undone and he must save her from her own father by doing the very thing she fears most. He must marry her. But as Verena's past emerges in bits and pieces, fear threatens to overcome love. Verena must fight for her marriage...and her sanity. Under the cover of absolute darkness, a slight female figure climbed awkwardly down an ivy-covered wall. With a cautious glance left and then right, the cloaked figure darted across the open parkland at the rear of the manor house and managed to reach the relative safety of the trees. Just before she reached the woods, a shaft of moonlight broke through the clouds, highlighting the pale features of a young lady, beautiful and desperate. In a swirl of midnight cloak, she was lost among the trees. She carried nothing more with her than a very small and very shabby valise containing one extra, equally shabby dress, some underthings, and enough money to catch the southbound stagecoach once she reached the posting house—money that had been given to her by some of the servants who wanted to help her escape.